India is a sacred nation with countless destinations having religious significance. Sacred places of Kedarnath, Badrinath, Gangotri and Yamunotri collectively referred as Char Dham and visiting these places is the dream of every Hindu devotee. Char Dham are situated in the splendid Himalaya and journey to all these the path way to Moksha. 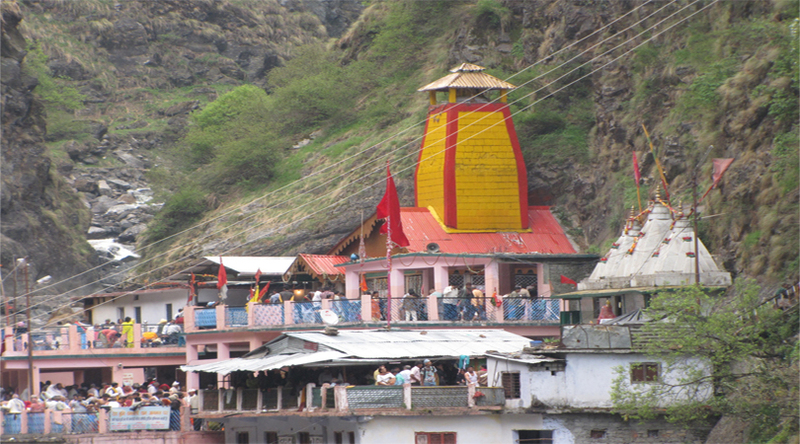 Char Dham are situated in the splendid north Indian state of Uttarakhand. These places are considered sacred as Gangotri is the source of sacred Ganga, Yamunotri is the source of sacred Yamuna, Badrinath is the land of creator god Vishnu and Kedarnath is the home to mighty lord Shiva. If one is interested in visiting these places on a single journey, it is advisable to first visit Yamunotri followed by Gangotri, Kedarnath and Badrinath r its reverse is also recommended. This is based on the location of these places. Badrinath is located on the extreme east, then comes Kedarnath, then Gangotri and finally Yamunotri in the eastern side. The route of the journey from sacred Haridwar to Badrinath–the place where sacred river Ganga enters plains of India – involves places like –Rishikesh-Devprayag, the meeting place of Alaknanda and Mandakini, the tributaries of Ganga-Gopeshwar-Joshimath and finally the abode of lord Vishnu, Badrinath. All these places enroute to the Badrinath have certain religious significance since the beginning of Hindu culture. 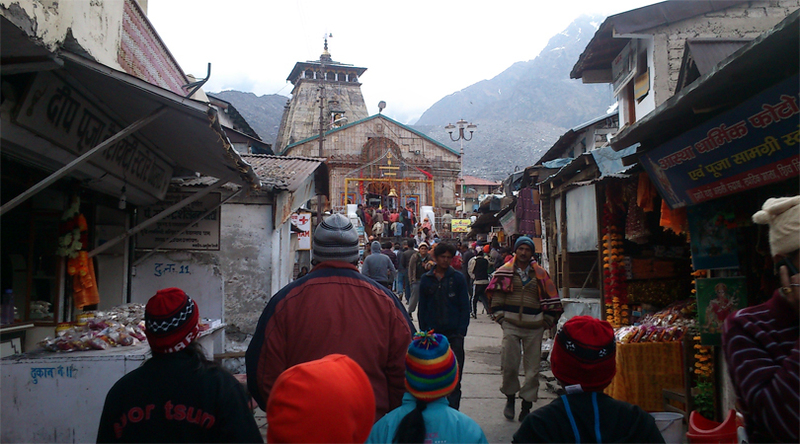 Joshimath is the last town on the route and has countless temples. It is said that Jyotri (eyes) of goddess Parvati fell here when lord Shiva performed tandava with her dead body. She immolated herself when her father insulted lord Shiva by not inviting him to a Yajna. Badrinath lies in the Alaknanda valley and is said to derive its name from a berry plant believed to be eaten by lord Vishnu when he performed meditation here. This plant is extinct now from here. The landscape here is barren, rocky gorges created by Alaknanda and its tributaries like Vishnu Ganga. The mighty Neelkanth, named after lord Shiva is most prominent one in the landscapes of this place. This place was founded by Adi Shankaracharya who travelled from south India state of Kerala. Surprisingly, the priest of the temple is not a local resident but a Namboodiri Brahmin. This tradition is still intact. The temple main attraction and the destination of countless devotees are located on the west bank of Vishnu Ganga and is painted with colors-blue, pink, red and green-it is the only colored building in the town. During the Yatra period from May-July, the place becomes extremely crowded and devotees have to wait for hours to have a glimpse of their lord. This temple was established in about 900 AD by Adi Shankaracharya. 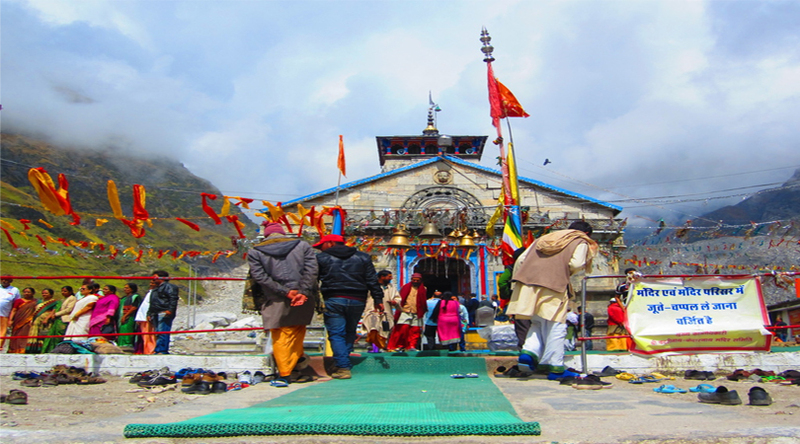 The temple door remains closed during the winters when the place is inaccessible and a silver image of lord Vishnu is taken to predetermined place at Pandukeshwar and the priest then presides another temple of significance, Narsingh temple at Joshimath. This ritual is done annually and is done with great respect. The lord is taken back to the Badrinath temple in the month of May. One can feel oneness with nature at such places and feels like meditating. It is here one can feel the meeting of soul and mighty supreme power. 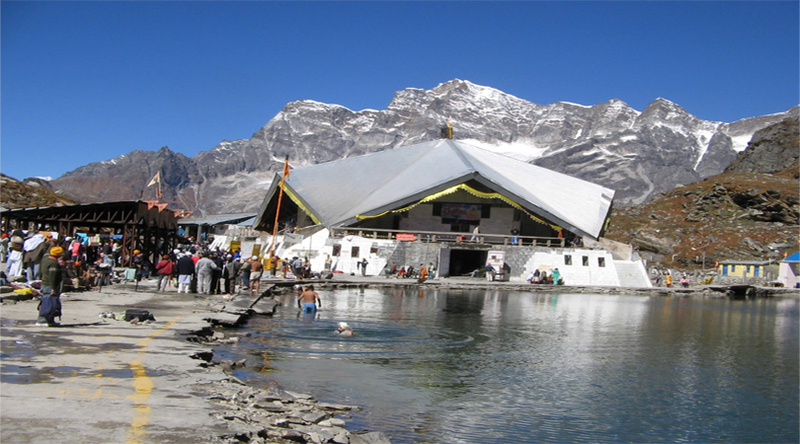 Another place of pilgrimage branches off at Joshimath-Hem Kund –pilgrimage centre for Sikhs and valley of flowers national park. Next destination is Kedarnath-the abode of lord Shiva. One has to reach back to Rudraprayag and the route to Kedarnath is from here. Unlike Badrinath, one has to walk in order to reach Kedarnath. This temple was also established by Adi Shankaracharya. The significance of this temple lies in the fact that Kailash Manasarovar-the ultimate abode of Hindu god Shiva lies near these mountains on the other side in Tibet. 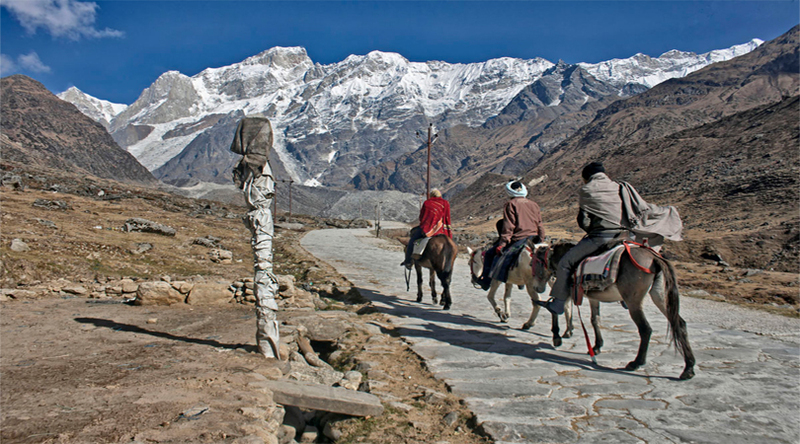 The trek from Gaurikund to Kedarnath is about 14 kms and is a reasonable one. If one is not interested in walking then ponies etc are available. The view of the temple is magnificent as it lies in a broader valley with the snow-clad peaks forming the backdrop. It seems that river Mandakini is originating directly from these snow peaks. It is a true Shiva abode in the majestic grandness of the nature. The beauty is unparalleled and mesmerizing. One can feel lord Shiva meditating here an amazing landscape. The original temple was established about thousand years ago which was destroyed in some earth quake and the temple stood now is about 200 years old. Like Badrinath, deity is taken in a colorful procession to Ukhimath in winters after closing the doors of Temple. A Lake near the temple is named after Mahatma Gandhi as his ashes are immersed here. It is named Gandhi Sarovar. Mandakini is the main river here. Gangotri is the next destination. It is the source of river Ganga which begins its thousand kilometers journey from here as Bhagirathi. It is believed that Ganga descended here from heavens after she was asked to do so due to long Tapasya of king Bhagiratha who wished to wash his ancestor’s sins by sacred waters of Ganga. It is one of the most sacred destinations for Hindus from all parts of the globe. 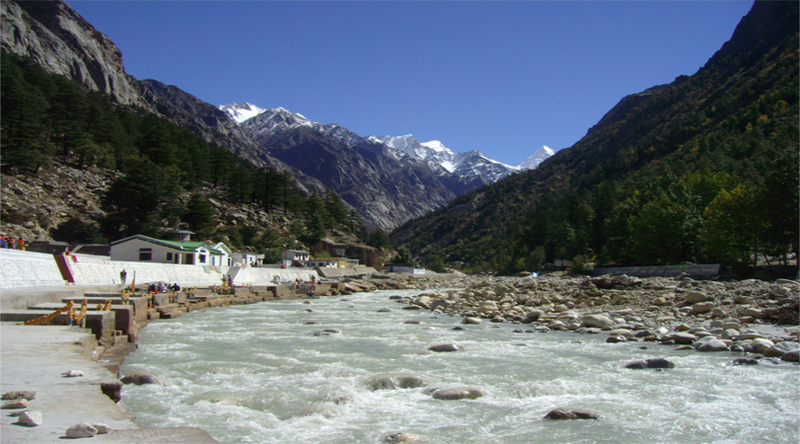 The journey involves reaching Rudraprayag from Kedarnath- Devprayag-where Bhagirathi meets Alaknanda and Mandakini-Tehri town-Uttarkashi- Harsil-Lanka- Gangotri. Gangotri is the crowded place during the May-July as numerous devotees arrived from all parts of country to visit this sacred place. Best for a nature lover is –visit the temple here and tries to move out of the town at the earliest. Next place here is Gaumukh-the Cow’s mouth is about 14 kms from Gangotri and is here that Ganga begins to flow as Bhagirathi. The trek to the Gaumukh is steady climb but is very mesmerizing in contrast to the noisy crowded Gangotri. There are beautiful locations named Chirbasa-place of pines and Bhojbasa-place of Birches. At Gaumukh Bhagirathi emerges from the glacier as milky white viscous fluid and is a beautiful sight. Pilgrims try to wash their sins at the direct source of Ganga. If one wants to merge with nature and have a glimpse of nature’s rawness then one must visit Tapovan-meadows of green carpets of grass, water, wild flowers. Tapovan is about 5 kms from Gaumukh and is truly a heaven on earth. The climb is extremely steep and very tough but rewarding. This is a protected area and topography of Tapovan resembles that of arctic tundra’s. The milieu here is mesmerizing and mighty Shivling peak seemingly emerges from the meadows. Tapovan is the base camp for various mountaineering expeditions. Anyone can fall in meditation here. A must visit for true nature lover and believer in god. Last place in this exhausting and tiring journey is source of river Yamuna-Yamunotri. One has to reach Uttarkashi from where the route to Yamunotri is there. River Yamuna originates from glaciers above the Yamunotri and has great religious significance as lord Krishna-an incarnation of lord Vishnu has inhabited on the banks of this river in Mathura. Yamuna meets Ganga at Allahabad after travelling hundreds of kilometers. Yamuna goddess is the sister of lord Yama-the god of dead and daughter of lord Sun. The bathing here has a significance as it is believed that it rids a person of the fear of sudden violent death. At one stage, Yamunotri was very less developed and devoid of basic facilities but now it is reasonably developed with all basic facilities. Yamunotri leaves Himalayas at Kalsi near Rishikesh and enters the plains like Ganga. The main temple is built about 20 years ago as earlier temple was a temporary structure that was rebuilt every winter. The temple premises have one idol of Yamunotri goddess and Gauri Ganga –former is of a carving on dark stone and latter is of white marble. The contrast in their colors is striking. The temple premise has tanks bathing where warm spring water is mixed for pilgrims to rid off their sins. It has hot springs of water where food is also cooked for use in temple premises. This completes the char Dham journey, anyone interested in undertaking this journey must have the physical capacity to undertake this tiring, arduous and tough journey. Secondly, one must have a reasonable time to enjoy spiritually and physically these beautiful landscapes. A minimum time for undertaking these journeys is 10 days. This is a must visit place for all Hindus devotees.